Because Easter is when we typically have many guests, we need YOUR help to make Compassion Church a warm, welcoming place that makes it easy for anyone to come hear about Jesus. 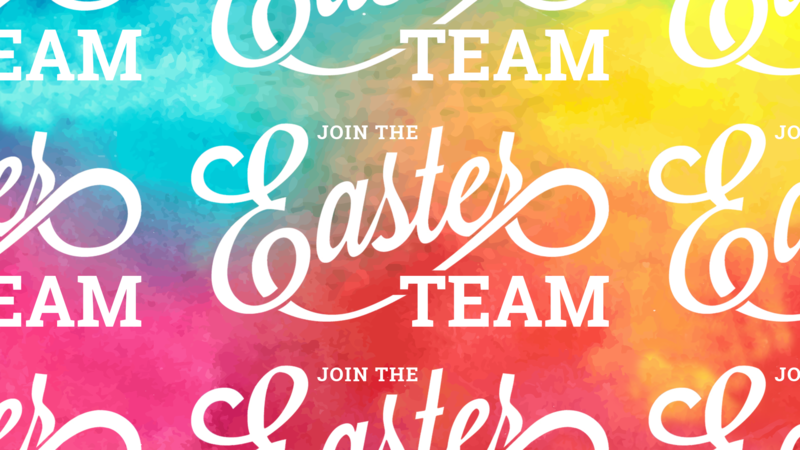 If you are not already serving on a team here at Compassion, will you consider joining the Easter team? Our needs that day include: greeters, parking team members, ushers, egg hunt assistants, and more! If you can commit to serve during one service and worship during the other, please click the button below to sign-up! At Compassion Church you will discover a warm group of real people dedicated to following our Lord and Savior, Jesus Christ. From the moment you walk up to the building you can expect caring and compassionate Believers who want to help you grow in your walk with the Lord! The vision of Compassion Church is to Help Others Find and Follow Jesus!